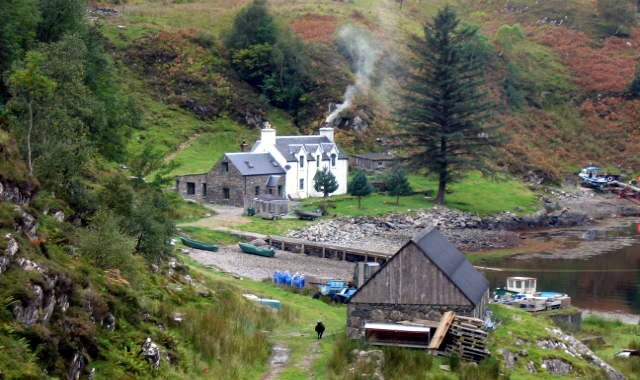 Innovatively converted from an old stone croft outbuilding in 2007, the Bothy now provides exceptionally comfortable accommodation for a couple with the potential to accommodate up to four when let along with the Old Schoolhouse. The main feature of the Bothy is the open plan kitchen/dining and sitting area with stone floor, exposed wood beams, bespoke timber kitchen units and oil fired stove. This room opens out into the garden allowing you to enjoy the highland air from the comfort of your chair. In addition to the oil fired stove, the kitchen has a gas oven and hob and ample cooking utensils and pots, with crockery and cutlery for four. The spacious bedroom has two comfortable single beds, easily pushed together for a king size bed, and an inviting bathroom with bath and separate tiled shower. Steeped in history, the Old Schoolhouse of Kylesmorar has been sensitively converted and now provides an optional but truly romantic master bedroom annex to the Bothy. The timber lined walls and a real log fire at the end of the bed, combine with thick, luxurious bedding and bespoke furnishings to create a completely unique and private space allowing you to watch the sun set and the dawn break over the Cuillins of Skye from your pillow. 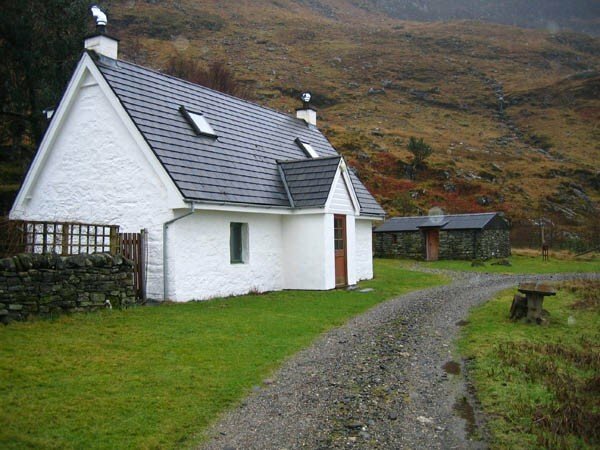 The house shares facilities with the adjoining Bothy. Fresh linen, towels, wood, coal and kindling are provided. The Old Schoolhouse benefits from central heating to ensure that you remain warm and snug, even on the coldest of nights.